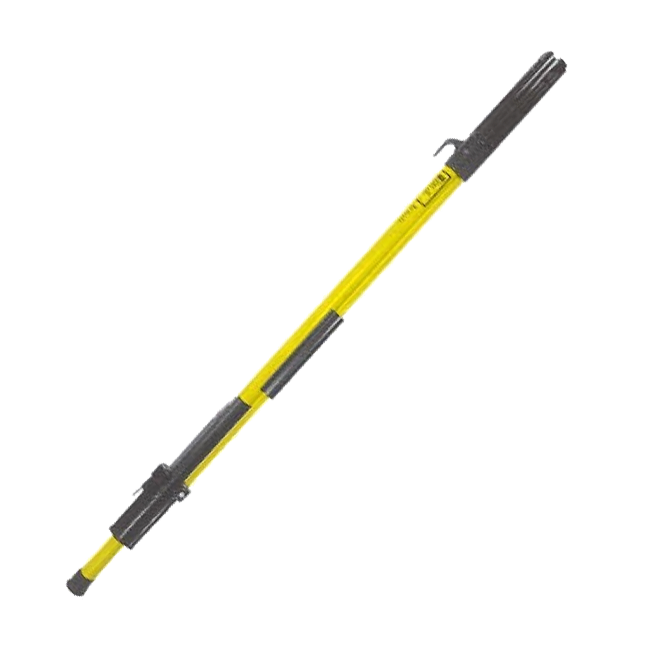 Clampsticks also known as “shotgun sticks” feature a high quality, foam filled, fiberglass reinforced plastic tube providing maximum insulation and mechanical strength. They are lightweight and easy to handle. Clampsticks feature a fixed length shotgun with external operating rod. All clampsticks are tested per OSHA and ASTM F-711. CPCS-8104 – 1.25″ x 4′ 6″ – 4.5 Lbs. CPCS-8106 – 1.25″ x 6′ 6″ – 5.2 Lbs. CPCS-8108* – 1.25″ x 8′ 6″ – 6.5 Lbs. CPCS-8110* – 1.25″ x 10′ 6″ – 7.2 Lbs. CPCS-8112* – 1.25″ x 12′ 6″ – 7.8 Lbs. *Special order item with typical delivery from supplier of two to four weeks.